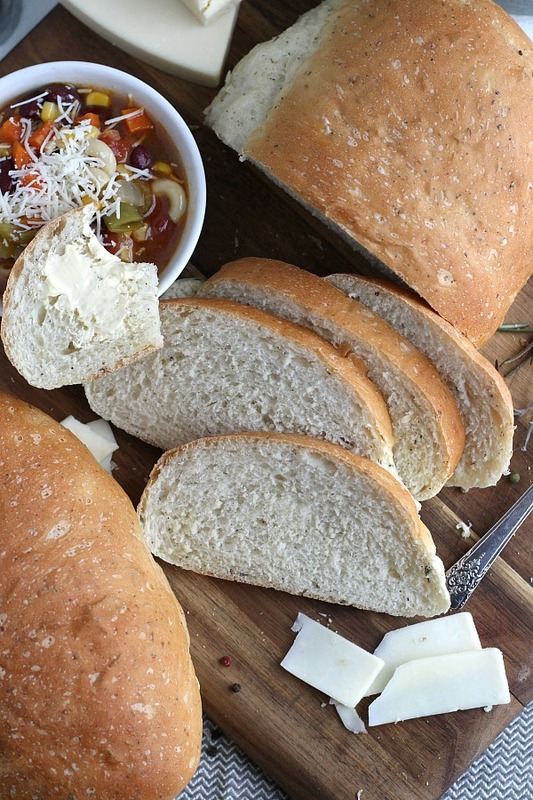 Parmesan, Cracked Pepper and Herbed Bread is full of flavor. Lots of fresh cracked pepper, garlic, basil and other herbs make every bite a treat. 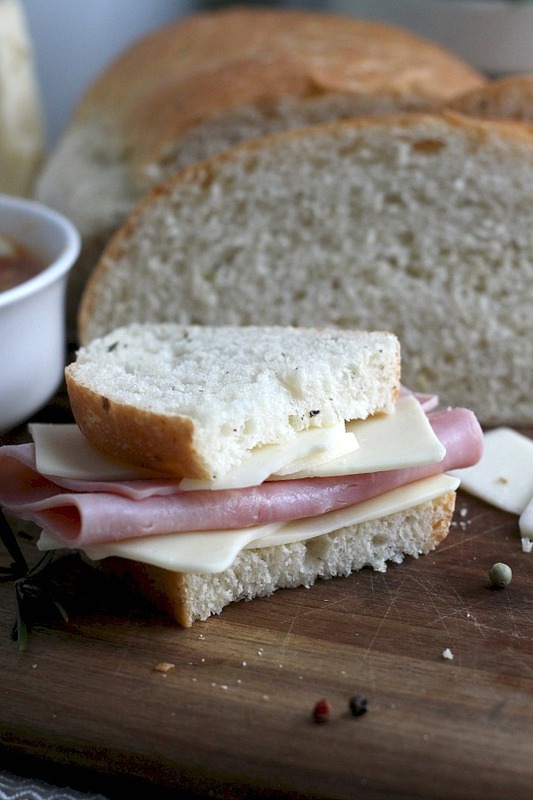 It slices beautifully and is great for sandwiches or buttered and served with soup or salad. 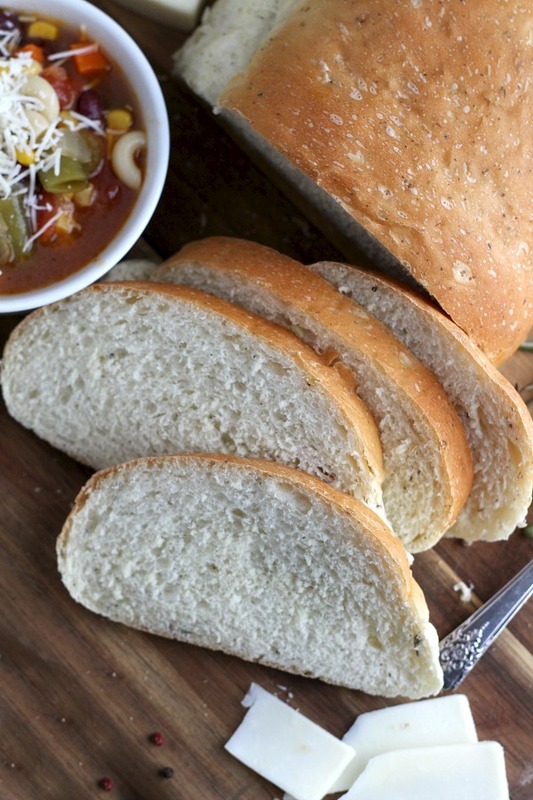 The dough is easily made in a bread maker and can be shaped as desired. Allow to rise after shaping, bake and enjoy! 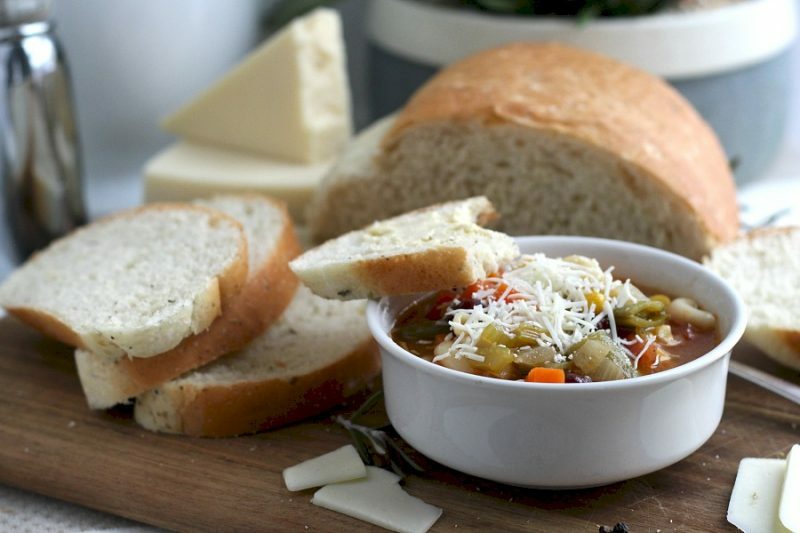 I seriously could have eaten slice after slice of this bread and could barely wait to finish the photo shoot before eating more. Even though there is fresh garlic plus garlic powder along with other herbs, they only enhance and not over-power. 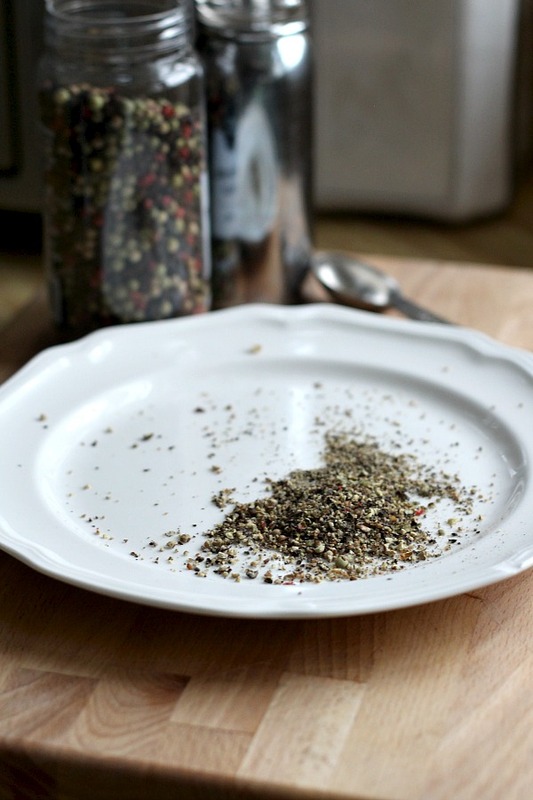 To get the right amount of pepper, freshly grind peppercorns. Mince the garlic and grate Parmesan cheese. I was actually able to run out to my herb garden, brush away the snow and gather the smallest amount of fresh chives. I gathered a wee but of thyme as well. 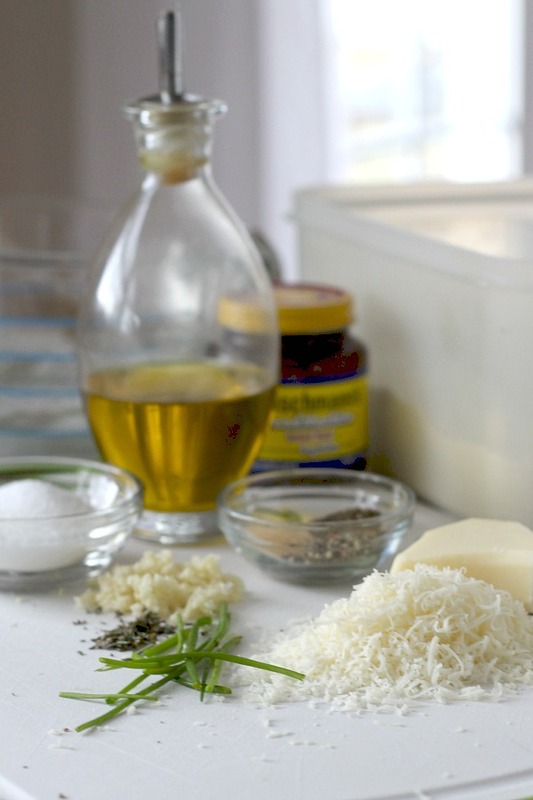 Fill the bread maker pan with the water, olive oil, sugar, salt, herbs, cracked pepper, cheese and flour. 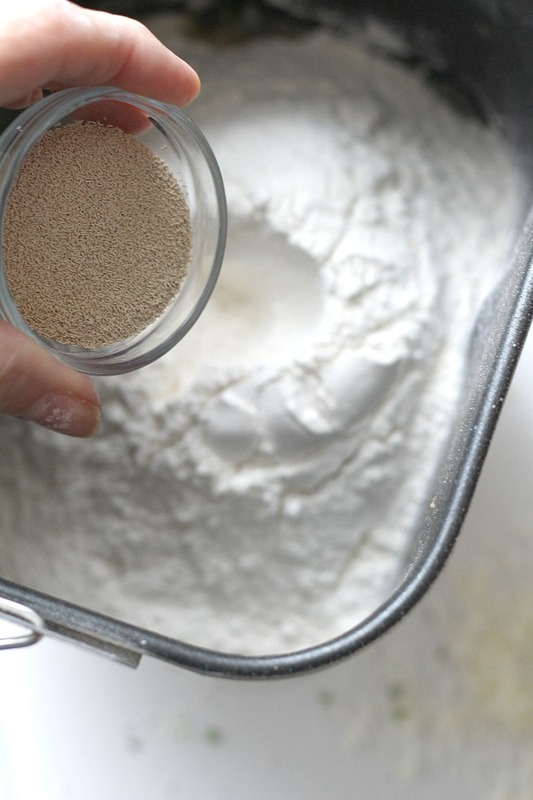 With a spoon, make a well in the center of the flour and pour in the yeast. When the cycle is complete, remove the dough to a lightly oiled surface, cover and allow to rest 5 minutes. Using a scraper, cut the dough into two equal pieces. Pat the dough into a rectangle. 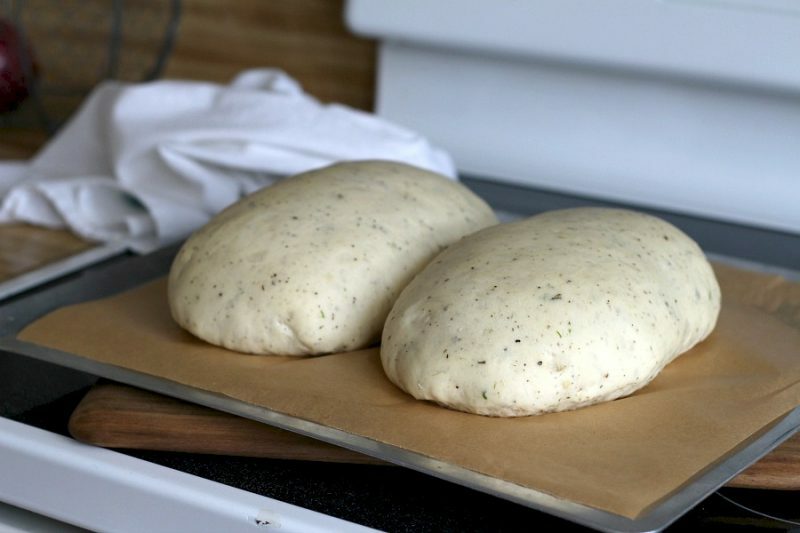 Roll the dough into a loaf and place on a parchment lined baking sheet. 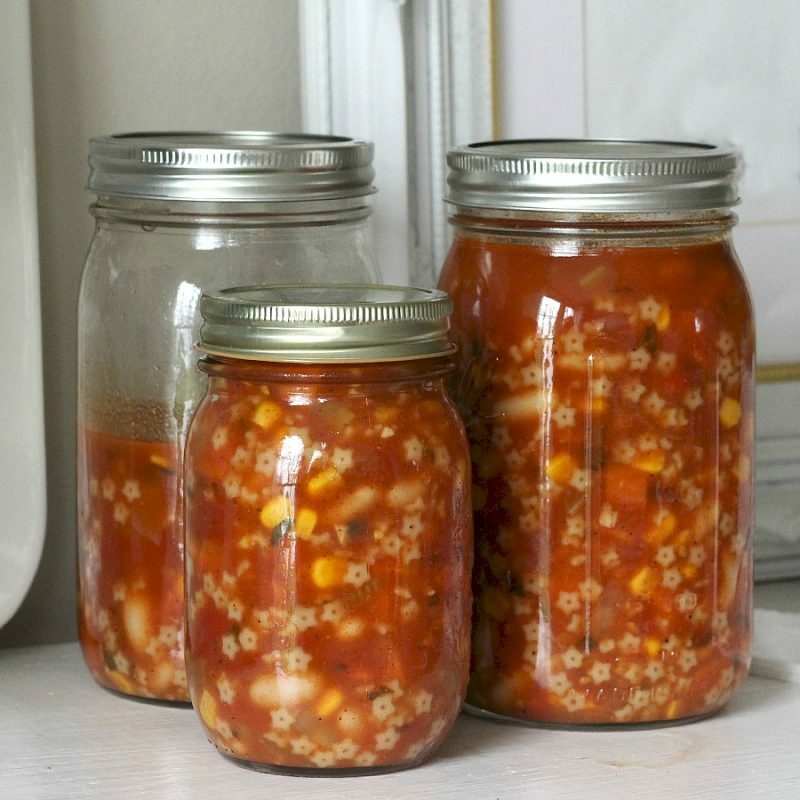 Cover the loaves with a clean towel and place in a warm place to rise until doubled. 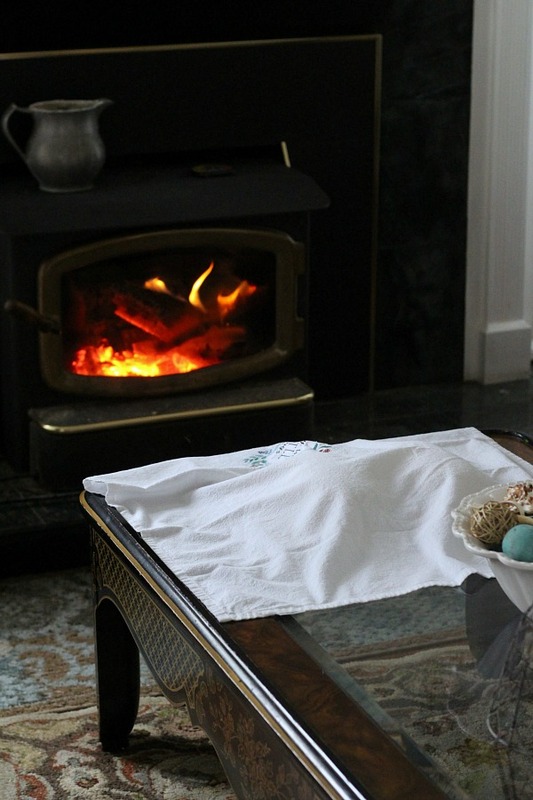 I scooted the coffee table closer to the fireplace this snowy day. Look how nice they rise. And this is how the bread looks just out of the oven. In bread machine pan, place all ingredients in order listed above or as suggested by manufacturer. Select basic bread setting to start. A few minutes into the cycle, take a peek and, using a rubber spatula, scrape down any ingredients that might be sticking to the sides. 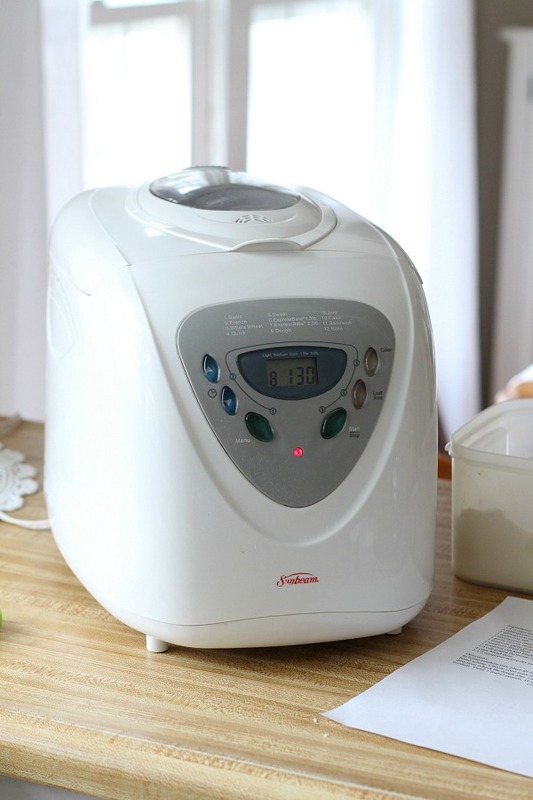 When the bread machine beeps that the cycle is complete, remove the dough from the pan onto a lightly oiled surface, cover with a clean, lint-free towel and allow to rest 5 minutes. Using a scraper, cut the dough into two equal pieces. Pat the dough into a rectangle. 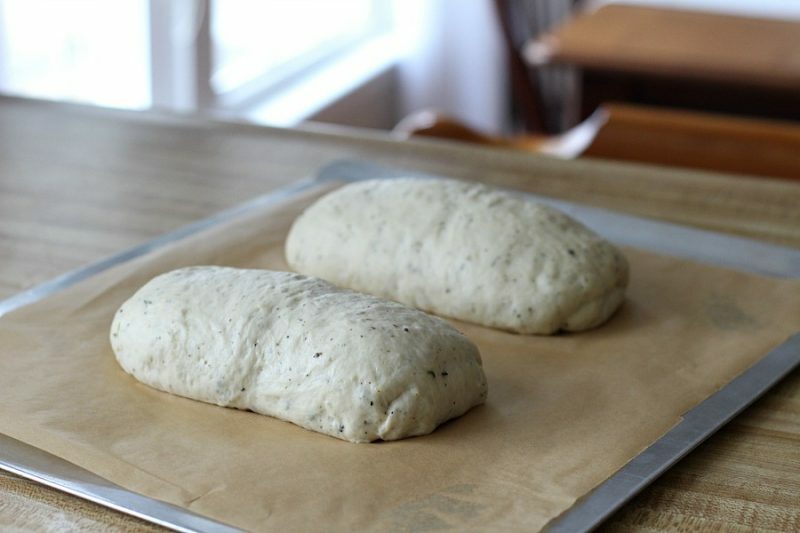 Roll the dough into a loaf and place onto a parchment lined (or lightly greased) baking sheet. Cover and place in a warm place to rise until dough is doubled. Preheat oven to 350 degrees F. Remove the towel and bake for 22-25 minutes until top is a golden brown. 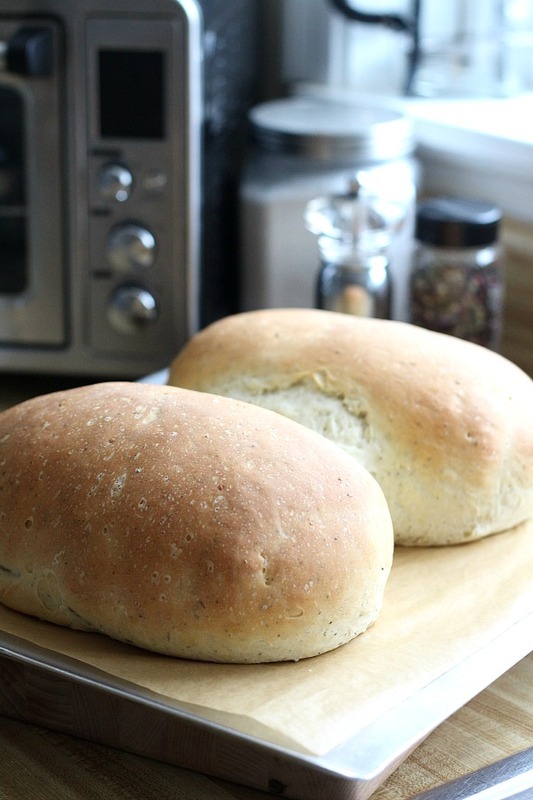 Remove loaves from oven and cool on baking racks. Oh my that bread sounds so good.